On the Work Pod is an interview with a former DCDF detainee about his time as a “volunteer” worker in the Durham Jail along with selected letters and art from others on work inside. The pamphlet sheds a scathing light on the exploitative nature of jail labor, even when supposedly “voluntary”. 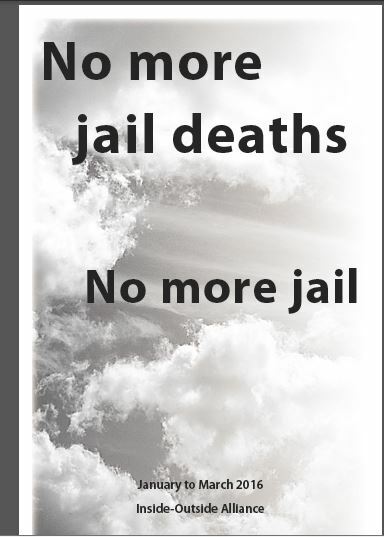 This pamphlet comes out of the struggle to make sense of and demand justice around the deaths of Matthew McCain and Dennis McMurray at the Durham County jail. Please feel free to download the pdf and share it in way you like. If you would like a print copy, please get in touch with us: insideoutsidealliance@gmail.com. What We Want. What We Believe. This statement was developed collectively by IOA in conjunction with friends and family members of those inside during the 2015 Lockback. It outlines our understanding of the lockback, our rejection of the Sheriff’s justifications for the lockback, as well as 10 demands regarding conditions inside and and 2 regarding incarceration in our community. This statement is the result of a collective process and represents some of our ideas on events unfolding in Durham as well as the nature of change. We invite people to share, comment, and distribute widely.